Hold your wedding, reception, corporate event, or gathering at one of the most beautiful spots in the Birmingham Area. Aldridge Gardens in Hoover is filled with natural beauty no matter what season. Our goal is to help you make your special day unique and memorable. The Arbor is a beautiful outdoor ceremony site that is located near both the pavilion and the house. 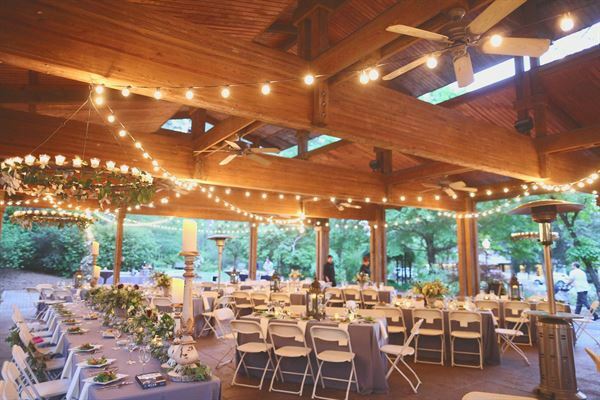 This ceremony site features a beautiful pergola that is perfect for the couple to exchange vows under. The Aldridge Gardens House guest capacity is 150 with the use of the back patio area that is tented. Depending on your layout, 60-70 people can be seated inside. The Pavilion guest capacity is 200 directly underneath the covering, but can accommodate 200 plus with the use of the side patio and shade garden adjacent. The Shade Garden Lawn is perfect for your ceremony needs.